If you are a business traveler or maybe an app developer, and you want to show off your app or device to a client. They like what they see and they want to show to their partner, pretty soon you are passing your iPad or iPhone around a circle, which can get awkward after a while. 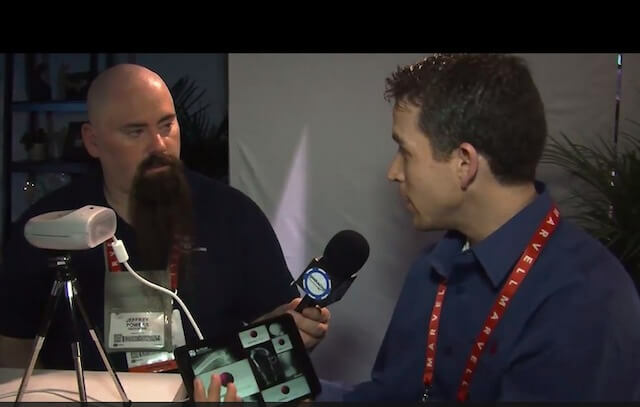 3M is offering a new solution a mobile projector, the 3M MP300 Mobile Projector. This mobile projector is a sixty lumens projector and can project up to eighty inches in diameter. It will mirror your device instantly. It is a plug and play projector. It will work with a regular HDMI cord and also a HD-MHL device. With the MHL cord and a MHL capable device you can project an image and charge your phone or tablet at the same time. Many Android products especially those made by Samsung are MHL enable. This 3M projector is the only mobile projector with this capability. The 3M MP300 Mobile Projector is available for around $250 on Amazon and at various retail locations. 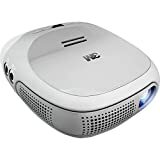 If you need a small mobile projector to carry with you and you have MHL compatible devices then the 3M MP300 Mobile Projector maybe the device for you. @GeekNews Thanks for the #MHL call-out. Let us know if we can give you any more info.